Belgium, Bosnia-Herzegovina, Israel, Cyprus & Andorra... Those are the five teams who stand in the way of Wales and their first international tournament since the World Cup of 1958. Real Madrid's Gareth Bale and Arsenal's Aaron Ramsey have the hopes of a nation resting on their shoulders as Chris Coleman's boys begin the road to Euro 2016. TFHB take a look at the history of the Welsh national team and the golden generation that is before us. Rugby is the sport that has historically been affiliated with Welsh life and culture. The establishing of many rugby clubs across the nation means the famous red jersey is far more often associated with the oval shaped ball rather than a spherical one. Success on the rugby field has often come in waves and the recent decade has been one of relative success, notably with the British & Irish Lions often been led by Welshmen. However, on a domestic level it has long been the case that football has dominated rugby in terms of attendance. On the national level this has not matched up and that saw Wales move from the 74,500 seater Millennium Stadium to 27,000 (now 33,316) seater Cardiff City Stadium for the regular home international ties. As Euro 2016 qualification begins, the country is now filled with optimism about the prospect of a major tournament finals. The Football Association of Wales (FAW) was formed in February 1876 with the desire to compete against Scotland, a tie that had been taking place between them and England for 4 years previous. The first secretary Llewelyn Kenrick, a Welsh solicitor, organised the match against Scotland in front of 17,000 fans but Wales would go on to lose 4-0. The early years were significantly dominated by the north of the principality as rugger (rugby) was the sport of the south. Soccer (association football) was looked upon as the sport of the working class with rugger the predominately private school game along the lines of "Muscular Christianity". However by the mid-1890s the sport was on its rapid rise, the league system was fully organised, the FA Cup had become an institution whilst professionalism had been legalised in 1885. In 1895 Welsh football found one of its first heroes, a outside forward from Chirk, North Wales, who made his debut in a 2-2 draw with Ireland. Billy Meredith began his career with local club Chirk before moving on to Northwich Victoria. Following this came his break for fame, Manchester City. He spent 12 years in the blue half of Manchester and played 339 league games for the club on the way to scoring 129 goals. His best season for the team was when he notched 29 goals in 33 games as the Citizens were promoted back to the First Division. He won an FA Cup with City before his move to North-West rivals Manchester United in 1906. The agile, tall, strong forward played 303 league matches for United but in a reduced goalscoring role he found the net 35 times. During the 11 seasons with the club he was instrumental in 2 First Division title victories, an FA Cup and 2 FA Charity Shields. Finally he returned to Man City for 28 league appearances but it was for Wales he found real stardom. 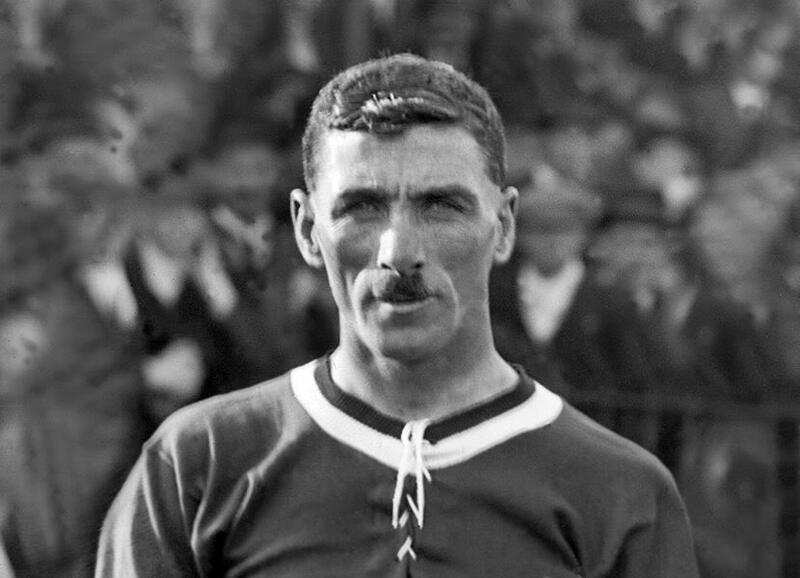 He earned 48 caps and scored 11 goals as well as winning the 1907 & 1920 British Home Championships, Wales' first and second ever. Football's popularity grew in the years following The Great War that finished in 1918 and Wales saw success in the British Home Championships during the inter-war period. They won in 1920, 1924, 1928, 1933, 1934 and 1937 with Fred Keenor of Cardiff City playing in 3 of the victories. He won 32 caps between 1920-1932 and the 5ft 7in defender was also the captain of the Cardiff during their FA Cup success. Since its inception, the FA Cup has only been won by a non-English team once, that was in 1927 and it is Cardiff City's most famous moment. They beat Arsenal 1-0 at Wembley Stadium following their final defeat to Sheffield United in 1925. Welsh football clubs had joined the English football league system but when economic depression hit in the 1930s that all went sour. Various clubs fell out of the football league and many stopped existing all together, such as Mid Rhondda FC. Fred Keenor was sold by Cardiff to Crewe Alexandra in 1931 and the biggest Welsh club slipped down the divisions. World War Two hit in 1939 and this changed the landscape of Europe, football could not be avoid this either. However, in 1946 football began its steady incline and post-war boom. Attendances in football for the next decade peaked as people had little alternatives with their free time and unemployment was at 3%, something it did not rise above between 1948-1970 . 41 million spectators were attracted to professional football in 1948/49 as many clubs broke record attendances that still exist to this day. For Welsh football the 1950s became arguably their heyday with the towering John Charles the leader of his generation. Swansea born Charles began his professional career with Leeds United and scored 150 goals in 297 league games for the club where he either played at centre back or centre half. In 1957, he was courted by Juventus who paid a British record £65,000 for his services. Charles earned legendary status in Italy during his 3 Serie A title wins and was named Italian league Player of the Year in 1958. He returned to Britain with Leeds United, Cardiff City and Hereford United as well as having a spell with Roma but he also was mighty on the national stage. 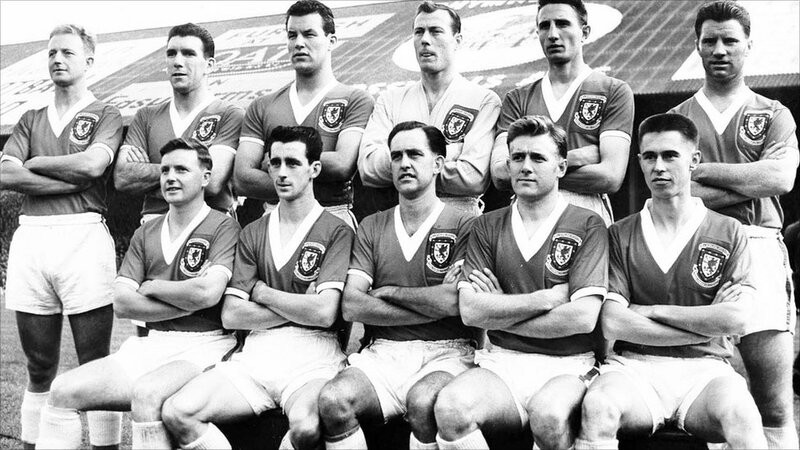 Wales' finest hour to this date came in 1958 when they made their first and only foray into the FIFA World Cup. Qualification was earned in rather unusual circumstances as Wales were handed a play-off lifeline against Israel, this followed the Suez Crisis and the withdrawal of Egypt, Indonesia, Sudan and Belgium. Wales beat the Israeli's 4-0 on aggregate with goals from Len and Ivor Allchurch, Cliff Jones and captain Dave Bowen. Wales' tournament group contained Mexico, hosts Sweden and 1954 runners-up Hungary. The Welsh opened their campaign with a draw against Hungary as John Charles netted in the 27th minute. 3 days later followed a draw with Mexico thanks to Ivor Allchurch and then a 0-0 draw with Sweden saw them secure a play-off against Hungary to decide who would advance. After falling 1 behind in the first half to a Lajos Tichy goal, it took Ivor Allchurch and Terry Medwin to put Wales into the Quarter-Finals. Next up was Brazil, who featured the likes of Pelé, Vavá and Garrincha. The Brazilian took 66 minutes to break the deadlock as debutants Wales managed to hold their own. However Pelé would send Wales home and Brazil would go on to beat Sweden in the final. Wales had survived Sweden and Hungary and would only lose to a top class Brazil squad, certainly the country's finest hour. Read the full story about 1958 in our piece here. The rest of the 1990s were shameful for Wales with Bobby Gould taking the national side a number of steps backwards that prompted his resignation in 1999. Mark Hughes would eventually be appointed his permanent replacement and would come agonisingly close to a major tournament again in 2003. Wales would lose their play off for Euro 2004 to Russia making the highlight from the early 2000s, the 2002 win over the mighty Italians 2-1 thanks to a Craig Bellamy strike. Josh Toshack then took the helm but as pressure grew on him with poor performances, he would step down and the FAW would make perhaps their greatest decision for many a decade... Gary Speed. Gary Speed was given the task at improving the fortunes of the Welsh national team. He was appointed as boss in December 2010 and following a struggle that hung over the side from the previous regime Wales dropped to 117th in the world rankings in August 2011. However, then followed the turn around as Gary Speed's tenure took hold and victories came against Montenegro, Switzerland and Bulgaria as well as a close 1-0 away loss to England. In November 2011 Wales beat Norway 4-1 at home as the rankings showed that they had moved up to 45th. 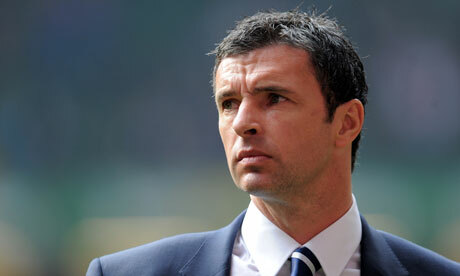 Then came the heartbreaking news, on 27th November 2011, Gary Speed committed suicide at his home. The man who we truly believed would take up to a tournament and who was loved throughout the nation was gone and tears flowed from fans and players alike. Aaron Ramsey and Gareth Bale had emerged as vital talents in their domestic squads and were taking the international stage by storm too, now qualification become about doing it for Speedo. Chris Coleman was given the chance to replace Speed. A tough task and a very bittersweet moment for someone who called Gary Speed his friend. In January 2012 the decision was made and then in February 2012 came the Gary Speed memorial match against Costa Rica at Cardiff City Stadium. The emotional night is one I certainly won't forget and the 1-0 loss began the new tenure. Qualifying for the 2014 World Cup started terribly: a 2-0 home loss to Belgium followed by a humiliating 6-1 away loss to Serbia. Perhaps the highlight of these campaign that saw Wales finish 5th out of 6, was the double victory over Scotland. On 12 October 2012 in Cardiff with Wales 1-0 with 10 minutes to go, Gareth Bale stepped in with a marvelous double to sink the Scots. Then in March 2013 at Hampden Park, Glasgow, Wales would come from 1-0 down again to beat Scotland. Unfortunately the poor form would continue with loses to Croatia, Macedonia and Serbia again. It seemed Coleman's time was up with public opinion completely against the Swansea born man. The FAW though would restrain from execution though as Wales saw off Macedonia at home and then earned a brilliant draw with the Belgians away in the final game of qualification. Now things are slightly different, on 18 September 2014, Wales moved up to their highest FIFA world ranking since the days of Terry Yorath, 29th. 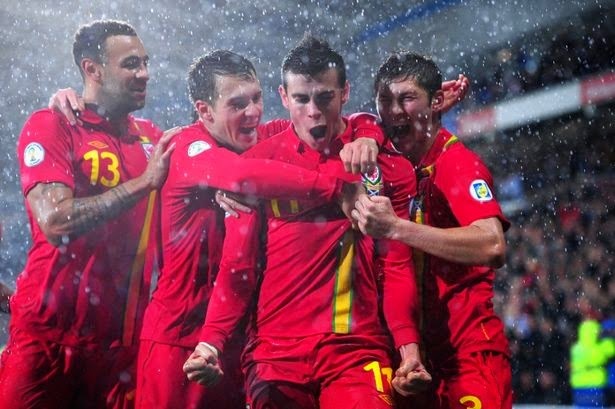 Despite criticism of Coleman and a terrible performance away to Andorra, another Gareth Bale double salvo saved Wales' blushes in our opening Euro 2016 qualifier. When a full side is out it can boast Swansea captain Ashley Williams, Liverpool's Joe Allen, Arsenal maestro Aaron Ramsey, 20 goal 2013/14 Championship man Sam Vokes and one of the best players in the world in Real Madrid superstar Gareth Bale. Coleman will remain in charge as Wales set their sights on France, Euro 2016. What it requires is a fully fit squad, a packed out Cardiff City Stadium and a united nation. The next step begins in October as the Welsh host Cyprus and Bosnia. Will this group of players become our 'Golden Generation'? Well only the next 9 matches will tell as the hopes of that proud history rest on their shoulders. We'd love you to vote for us in the Football Blog Awards by tweeting this or following this link and entering us in the 'New' category! J. Denman. ‘Unemployment statistics from 1881 to the present day’ (January 1996) <www.ons.gov.uk/ons/rel/lms/labour.../unemployment-since-1881.pdf>. Richard Holt and Tony Mason, Sport in Britain 1945-2000 (Oxford: Blackwell Publishing, 2000), p.3. Catch 11 minutes of gripping video highlights on the BBC Sport website here. BBC Sport article about the game here. Match report from BBC Sport on the Gary Speed memorial match here.